Conributors: Anna Hallin & Olga Bergmann, Bryndís Björnsdóttir, Hannah Black, Natasha Ginwala, Tinna Grétarsdóttir, Emma Haugh, Suza Husse, Occupational Hazard Project, Tejal Shah, Ato Malinda, Nine Eglantine Yamamoto-Masson and participants of the workshops “Speaking As Fishes” in Leipzig and Reykjavík. in collaboration with Occupational Hazard Project, Reykjavík, 2016. We sweat and cry salt water, so we know that the ocean is really in our blood. The Hydra is a serpent-like mythological water creature whose snake heads reproduce uncontrollably. Within the project this figure is evoked as postcolonial and queerfeminist reference organism. Used as a legitimizing trope for white Herculean dominance over the global multi-ethnic ‘monster’, the ancient Greek myth of Hercules killing the Hydra re-entered the European colonial imaginary during the 16th century. Giving voice to deviate heads and crafting tales of other socialities, The Many Headed Hydra works to reclaim this early capitalist symbol of the unruly proliferation of ‘dangerous’ alterity. 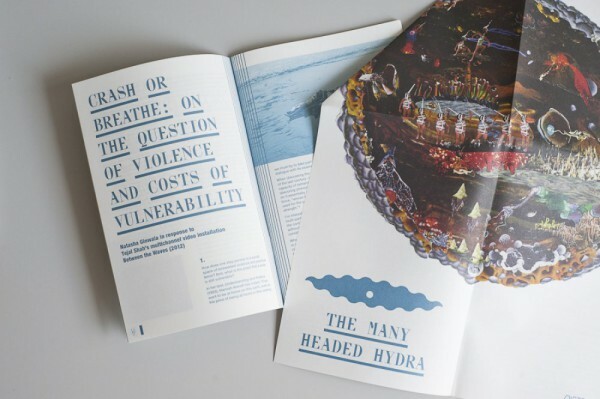 Developed with people from different islands, continents and peninsulas, The Many Headed Hydra is a hydropolitical art project that involves research, performance and publishing based on collaboration and modes of storytelling. Nurtured at the art space District in Berlin and through conversations with cultural and political practitioners and thinkers Sea Body Infrastructure Image is the first head of The Many Headed Hydra. It surfaces from the waters of the Atlantic Ocean between the shores of the European peninsula, Iceland and West Africa. 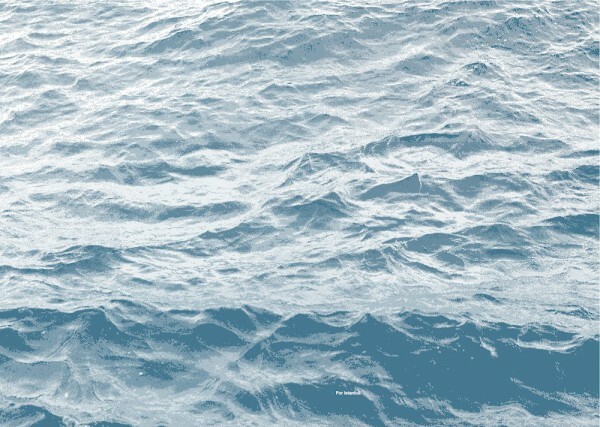 In the format of an artistic research symposium, workshops, this magazine and its site specific translation into performative and discursive transmissions, Sea Body Infrastructure Image discusses the North Atlantic as a territory of passage undergoing social and ecological transformations. The material and symbolic meanings of this shifting geopolitical entity flow in the streams of technology and capital, in the histories of diasporas and of the Cold War, in the desires and discourses that cross its waters. But the Atlantic waves also resonate the fluid embodiments from the archaic and futuristic realms of a different shoreline, of in-between landscapes inhabited by queer, inter-species forms of existence. Bodies of water are considered as hospitable public spaces for post-national as well as post-human imagination in order to rethink notions of rights, citizenship and belonging and to acknowledge natural beings and planetary earth forces as political subjects in their own right. 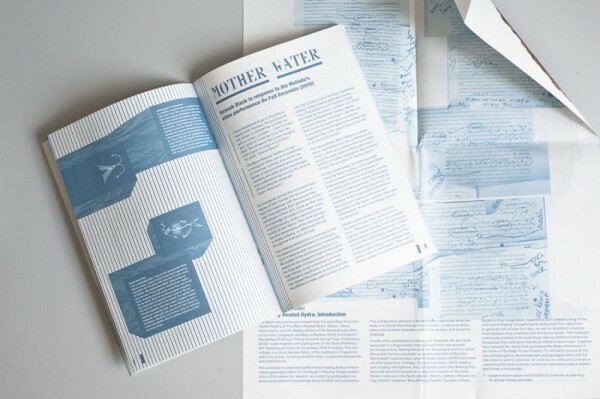 Navigating puddles, rivers, fountains, oceans or pipes, tears, sweat and spit Sea Body Infrastructure Image proposes to draw connections between different experiences, crossing temporalities and contested geographies. With their first motley head, we launch The Many Headed Hydra as a performative device, that we hope will develop its own forms of mythmaking as it slips and slides from one phase, place and performing body to the next. In Collaboration with The Watch, Residencyprogram at the Watchtower Schlesischer Busch by Flutgraben e.V. With contributions by Bryndís Björnsdóttir and Ato Malinda. For more information on this history and the alternative social worlds resisting the rise of global capitalism and colonial expansion see Peter Linebaugh and Marcus Rediker, The Many-Headed Hydra. Sailors, Slaves, Commoners, and the Hidden History of the Revolutionary Atlantic, 2000. In collaboration with the artist run research projects Keep Frozen and Occupational Hazard – investigating harbour cultures and the geopolitical shifts in the North Atlantic from an Icelandic perspective – the first manifestation of the project became the artistic research symposium Sea Body Infrastructure Image (curated by Suza Husse / The Many Headed Hydra and Hulda Rós Guðnadóttir) in Leipzig in January 2016. 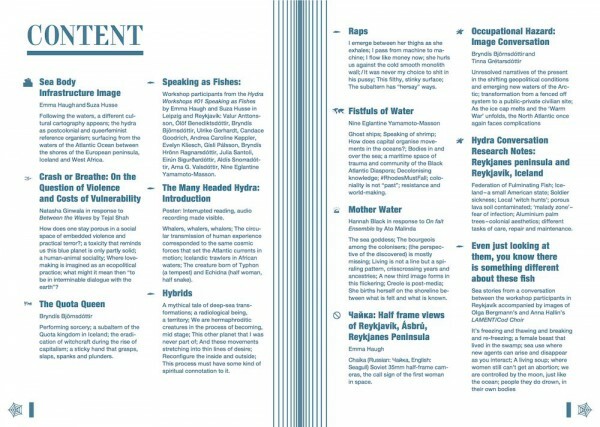 The symposium ended in a Hydra-workshop called Speaking As Fishes whose second part happened in Reykjavik a month later, again in the context of Keep Frozen and enabling research and speculation towards the contribution of The Many Headed Hydra to the Occupational Hazard project in the former American NATO base in Reykjanes bay in fall 2016.